This document created at Nov 15, 2016, 4:14:30 PM and modified at Apr 18, 2019, 3:39:44 AM. 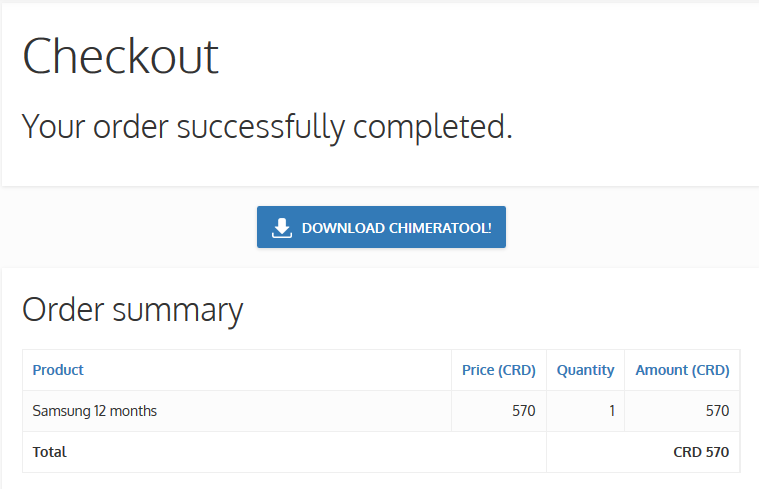 Licence activation from Chimera Credits. 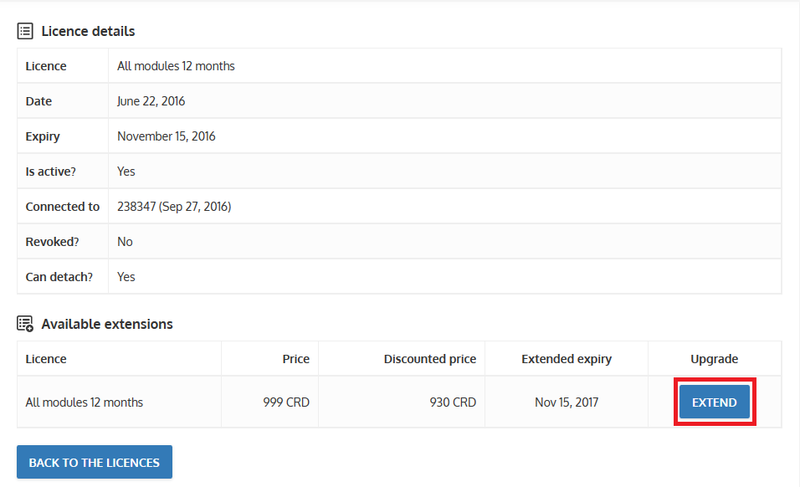 You’ll find prices in EUR and CRD. When you buy a license for X credit and you activate it, you don’t get extra credits with it. So once your credits are converted to license, you will have no more credits. 1. You wanted to buy a license but you can only see credits? 2. 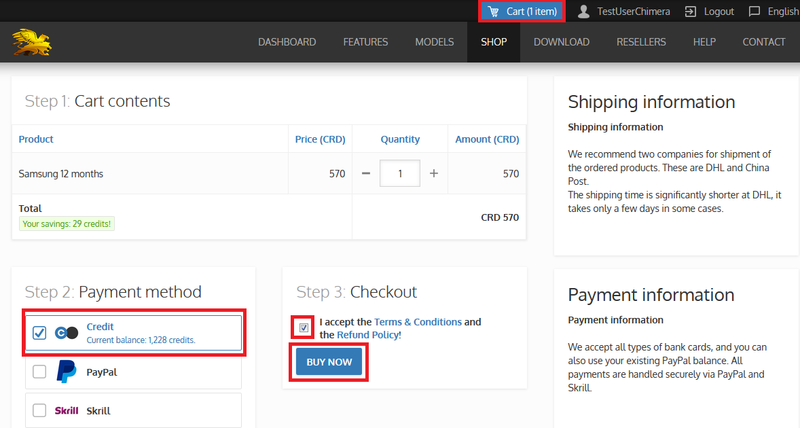 If you need extend your license click to the extend(2) button and select Credits as payment method. 3. 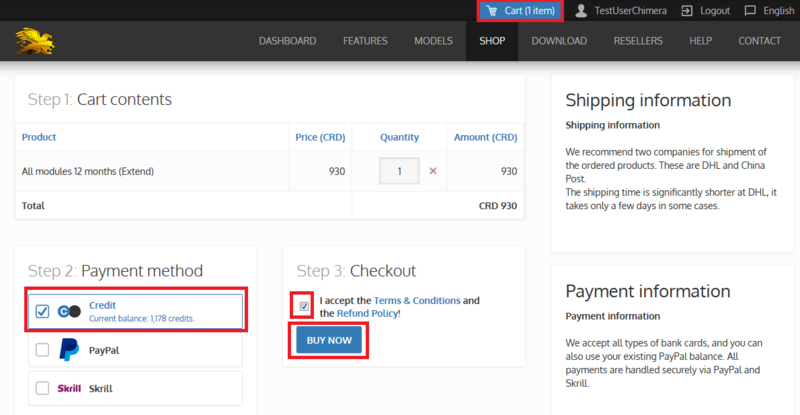 If you need activate new license click to the buy (3)button and select Credits as payment method.